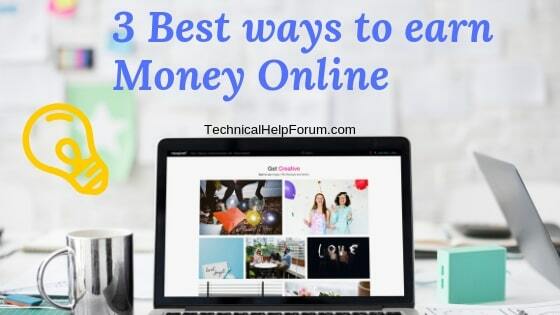 There are many ways to earn money online but today I’m telling you about the 3 best ways to earn money online and generate a passive income from there. In order to earn money from blogging, you need to have a blog. A blog is not a blog without content so once you’ve set your blog up then you need to focus your attention upon creating useful content. Important thing after creating a blog you’ve to choose the interesting and profitable niche or topic on which you start writing about.so be sure which is the best niche for you and what the knowledge about that specific niche you have. The key to success in the blogging field is creating content is as useful as possible for your reader. People think that monetizing is the only way to earn money from blogging so this is a misconception of those people today I’ll tell you about that method from which you can earn money from your blog. First, when you have some traffic on your blog you’ll monetize it and use (Google Adsense) for advertising purpose to generate the revenue. When people going to trust you and you have good traffic on your blog you’ll become the part of affiliate marketing and share then the link of products (Amazon) or some services (Bluehost) etc to earn the commission on every sale. A most common way that many bloggers make money is through offering services to their readers. They sell some courses of training of some skills of freelancing or Graphic designing and they also make money by consulting their readers. A Blogger also makes money by selling their own ebooks and they also launch some digital products and sell them and earn money. Blogger makes money from promoting the business indirectly and earn money in that way. You have to Getting Started as a Freelancer and this is also the very important and major part of earning money online. To get started, check out jobs on freelancer websites like people per hour, Fiverr, up work and freelancer. If you are serious about becoming a freelancer, pick a niche and become an expert on this niche. There are many blogs and websites owner needs the writers to produce interesting blog posts on regular basis. For that purpose, they hire someone who writes the articles for their blogs and websites. They pay from $5 to $250 for 1000 words. If you’re expert in your niche you can earn passive income from this field. Expert charged more in a specific field. Graphic designing is also a big category in the freelancing field. There are many options for freelance in graphic designing who are looking for making money online. In graphic designing, you can design logos, business cards and many more but for this, you have a skill in adobe photoshop or other designing software. Before bidding and taking the project to be sure that you’ll do that project perfectly if you make mistake or not submit a project on time and get the bad reviews your survival in this field become difficult. First, learn some skill and then start work. SEO, you’ll earn good money from this filed and you can also run your own website and generate passive income from this. There are many other options for a freelancer to make money.i discuss some of them. Youtube is an American video-sharing website whose headquarter is in San Bruno, California. It is created by the three formal PayPal employee in February 2005. Google bought this site in November 2006 for US$1.65 billion and now Youtube is a product of Google. Now I’ll tell the way to earn money from youtube. First, you’ve to signup on youtube and create the channel in simple few steps. 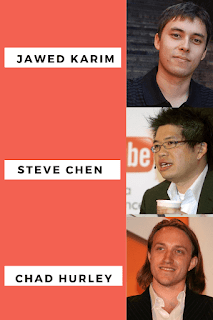 On YouTube, you can connect with a community and have an opportunity to make money while doing what you love to do. This is the best platform where you can work individually. Creators around the world have shared their content in the form of videos on YouTube, and many have turned their passions into earnings. First I’ll tell you about how to join the youtube partner program and then tell you the ways to earn money on youtube. The YouTube Partner Program (YPP) allows the creators to monetize their content on YouTube. You have to complete the simple four steps to earn money from youtube. Step 1: Read and agree to the YouTube Partner Program terms. When you signup with e-mail and create your channel then you’ve to enter Youtube studio and select the monetization option from the left menu and accept some youtube partner program terms. Then you’ve to create your AdSense account or if you’ve already an AdSense account you can connect that account to your youtube channel. The revenue you earn from your videos content you’ll get paid through this AdSense account. Step 3: Set monetization preferences. Now you can set what types of ads you want to run on your existing and future videos. You can change this setting in the future also whenever you want to change. For monetizing, your channel meets the program threshold. Getting reviewed for youtube partner program, your channels needs at least 4,000 watch hours in the previous 12 months and 1,000 subscribers. It is very important to understand that your rights for monetizing the content on YouTube, including all audios and videos. Copyright or Community Guidelines violations can impact your ability to earn money. So create your own content and not try to steal anyone’s content to upload on your channel. it violates the policy of youtube and you get copyright strike on your channel and if you got three strikes on your channel your channel will be terminated and your Adsense account is banned for this act. so please follow all the instruction and create the original content for your channel and earn passive income from this platform. I hope you like this article if you’ve any question or suggestion please give your feedback in the comment box and also share this knowledge to your friends on social media and you can also follow us our social media accounts. You can also subscribe our blog to get the notification of every update via e-mail by subscribing our blog.